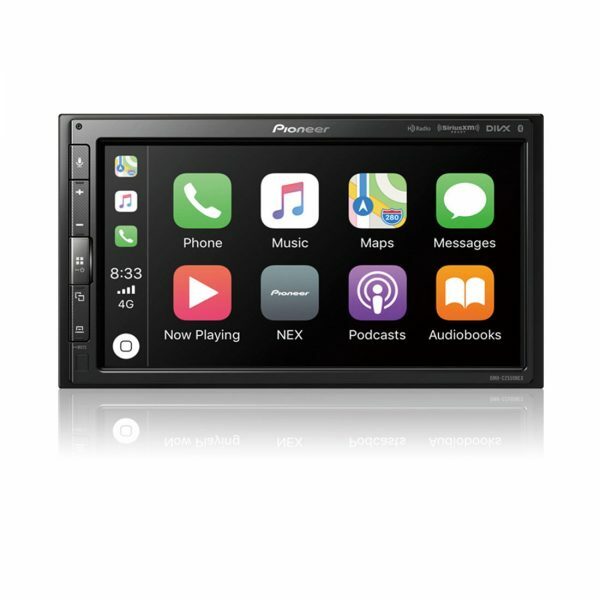 The Pioneer DMH-C2550NEX Modular 6.8” Multimedia Receiver with Apple CarPlay™, Android Auto™, Built-in Bluetooth®, SiriusXM-Ready™, iDataLink® Maestro™ with Remote Control Included. The DMH-C2550NEX features a responsive, powerful and intuitive touchscreen user interface that is easy to use and highly customizable. The Pioneer DMH-C2550NEX Non-DIN receiver features an innovative and powerful new user interface that is responsive and highly customizable. 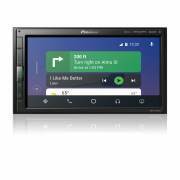 The pioneer DMH-C2250NEX is designed especially for today’s smart phone driven lifestyle. The DMH-c2250NEX Non-DIN receivers are specifically designed for applications with limited depth behind the radio virtually eliminating modern day installation challenges. Pioneer’s DMH-C2550NEX is ready to roll with direct connectivity to your iPod or iPhone via an optional USB interface cable (sold separately) depending on your iOS device. Powerful searching tools such as Link Play and Alphabet Search to help you find content faster. The Pioneer DMH-C2550NEX features Apple CarPlay, the smarter, safer and more fun way to use your iPhone® in the car. Apple CarPlay gives iPhone users an incredibly intuitive way to make calls, use Maps, listen to music, and access messages with just a word or a touch. 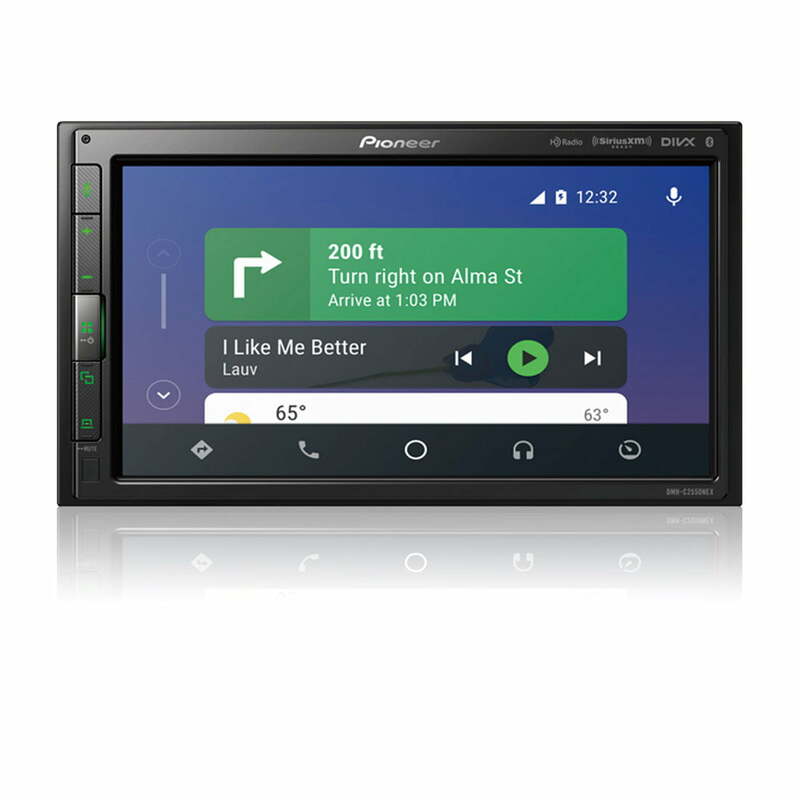 The Pioneer DMH-C2550NEX also features Android Auto which extends the Android platform into the car in a way that’s purpose-built for driving. Android Auto automatically brings you useful information and organizes it into simple cards that appear just when they’re needed. It’s designed to minimize distraction so you can stay focused on the road ahead. Android Auto is compatible with Android phones running Android 5.0 or later. Android Auto may not be available on all devices and is not available in all countries or regions. Stay safe and obey local hands-free laws with built-in Bluetooth. Easily pair a Bluetooth enabled phone to the DMH-C2550NEX without having to go through complicated settings. When a registered Bluetooth device is in close proximity to the receiver, the auto connection function automatically pairs the two units. Pandora is personalized internet radio that is designed to help you discover new music that you’ll love mixed in with music that you already know. 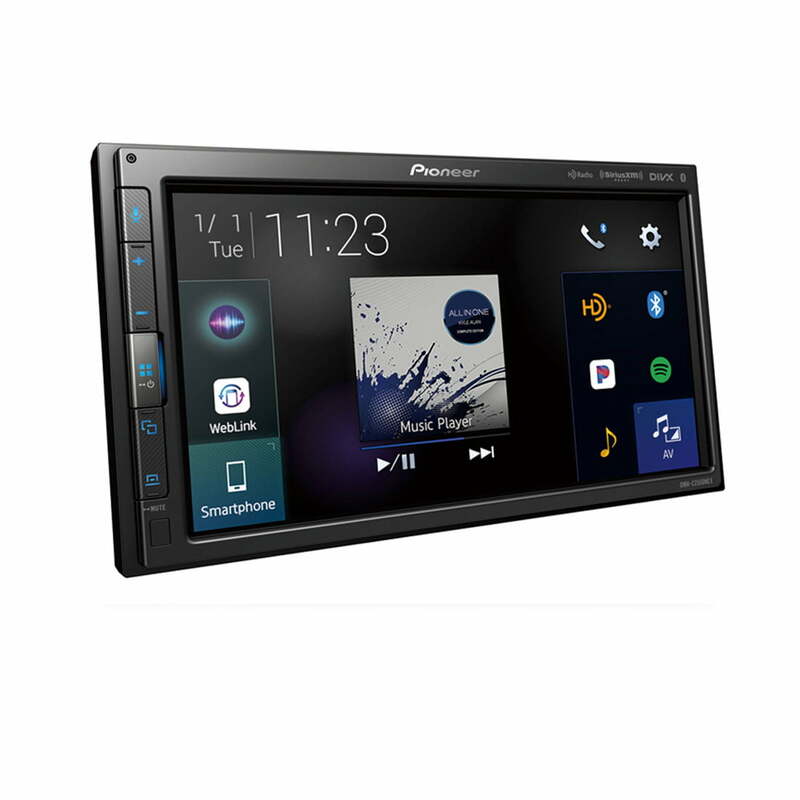 With the DMH-C2550NEX, you can enjoy superior sound quality and full control of the Pandora experience in your car directly from the touchscreen display of the receiver. With Spotify being a dedicated A/V source on the DMH-C2550NEX, you now have the ability to control content from the Spotify app on iPhone and Android devices. 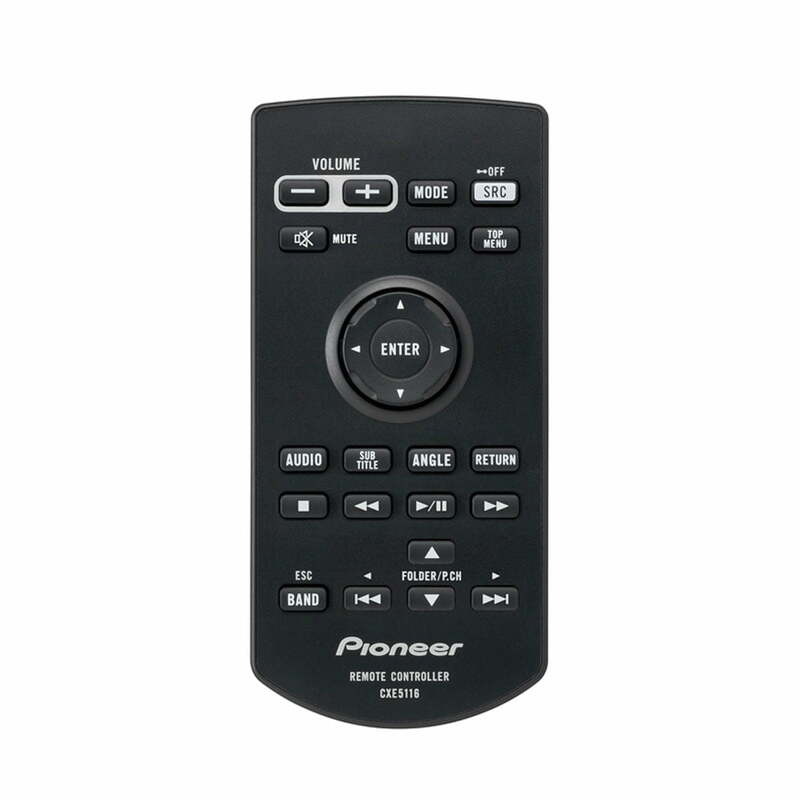 You can play, pause and skip tracks, and browse playlists, albums and radio stations on the go using the Pioneer controls. 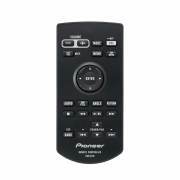 The DMH-C2550NEX features a built-in HD Radio™ tuner, allowing you to enjoy a richer listening experience without additional equipment or even setting up an account. HD Radio stations broadcast in clear digital quality to your local area making static, radio hiss and fuzz a thing of the past. Many stations offer extra local FM channels so you can enjoy more music, news, and sports all 100% subscription free.